Very friendly staff that was willing to help us with everything and go the extra mile. The accommodation is quiet, tidy, and very relaxing. The walk to Fira is about 15 minutes, which is very doable. We really enjoyed our stay and would definitely recommend Ifestos Villa and its staff! The location was amazing! Great hotel with great pool! Would recommend! The staff was excellent! Very helpful, friendly and informative. The cook at the pool bar was such a character! She hugged us like we were old friends, had a great conversation, made delicious food and was sure to say goodbye to us when we left. Was a special memory to our stay there. Very clean and modern hotel room. Exactly as pictured in the photos. 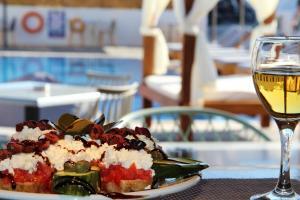 Friendly staff, very clean rooms, fantastic pool, super service. Rooms new and modern. Great hotel. Ifestos Villas was a fabulous hotel. From the moment that Nick met us at the airport, to the fabulous meals that Mama made us by the pool to our quarters, which were super super clean to Irene's friendly attitude at the front desk. It is the best hotel that we stayed in during our entire European trip through Switzerland, France and Greece. The staff is very plugged into services and we even got a car delivered right to our door. We recommend this hotel highly highly highly!!! Good location, not too far a walk from center of Fira. Great pool. 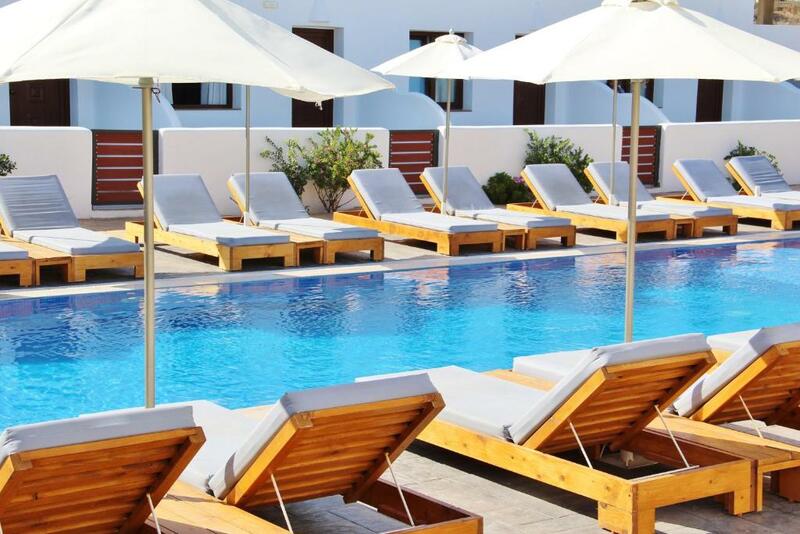 Lock in a great price for Ifestos Villa – rated 8.8 by recent guests! One of our best sellers in Fira! 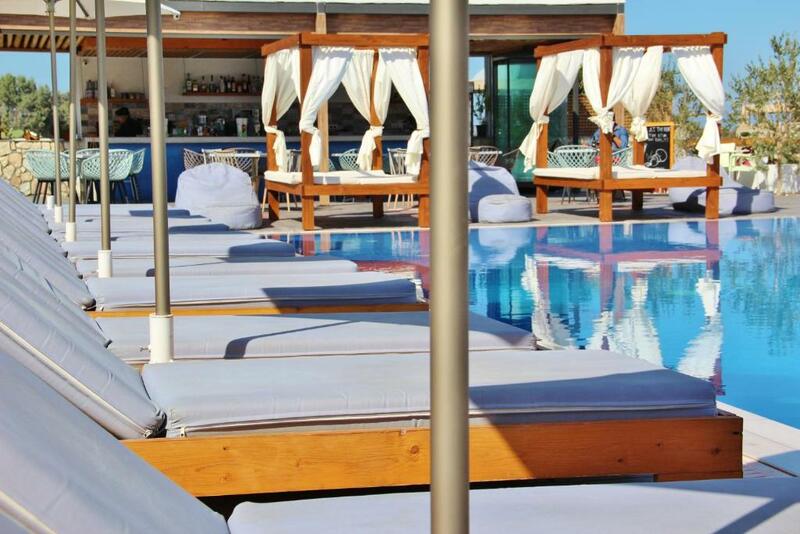 Featuring an outdoor pool with sun loungers and umbrellas, the Cycladic-style Ifestos is quietly located 1,650 feet from the centre of Fira It offers air-conditioned accommodation and a buffet breakfast daily. Tastefully decorated, all rooms, studios and apartments come equipped with a mini fridge and an LCD TV with satellite channels. The private bathroom is fitted with a shower and free toiletries. Some accommodation types open out to a balcony and have a kitchenette to prepare a light meal. The staff at Ifestos can advise on local interests, arrange car rental or book your tickets. Santorini Airport and Athinios Port are at 3.7 miles. 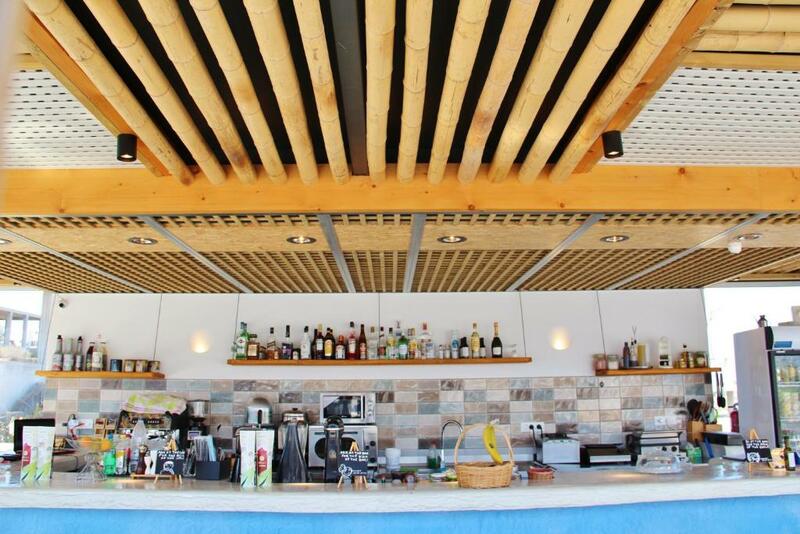 The beach of Monolithos lies at 7 km, while Kamari Beach is 7.5 miles away. Free private parking is available on site. When would you like to stay at Ifestos Villa? Featuring a patio with a table and chairs, this air-conditioned room has a mini fridge and satellite TV. It does not have a balcony. Please note that it cannot accommodate an extra bed. Featuring a balcony with a table and chairs and views over the town and sea, this air-conditioned studio has a loft. It includes a kitchenette with a mini fridge and cooking hobs, as well as a satellite TV. Featuring a balcony with a table and chairs and views over the town and sea, this apartment is air-conditioned. It includes a kitchenette with a mini fridge and cooking hobs, as well as a satellite TV. Featuring a balcony with a table and chairs and views over the town, this room is air-conditioned. It includes a mini fridge and satellite TV. This air-conditioned room comes with a mini fridge and a satellite TV. Free toiletries and a hairdryer are included. Free WiFi is provided. This more spacious and air-conditioned room comes with a mini fridge and a satellite TV. Free toiletries and a hairdryer are included. Free WiFi is provided. This double room has a soundproofing, tile/marble floor and patio. It is a family villa opened 1993 and full renovated at 2015. House Rules Ifestos Villa takes special requests – add in the next step! Ifestos Villa accepts these cards and reserves the right to temporarily hold an amount prior to arrival. Please note that shuttle service from and to the port/airport may be provided with extra charge and upon request and prior confirmation from the property. Also note that the reception is open from 08:00 until 21:00. Please inform Ifestos Villa of your expected arrival time in advance. You can use the Special Requests box when booking, or contact the property directly using the contact details in your confirmation. Tho i know it's the cheapest room in this hotel but the location of it at the back side of the construction just make it no open view, no security (the back entrance of hotel can get into these back side rooms without noticing by anyone) and just nothing made you feel like you are on holiday. Our room is next to the staffs room so until evening the staffs are sitting out of our room to chill till off work. The location has 15 mins downhill and uphill to Fira town so not convenient and the road downhill just has no one walk with you along making it quite scary. The worst thing is by the morning we checked out early in the morning we were informed by the chef that no ferries will be provided due to strong wind (she's the only best point from this hotel) we then immediately comsulted the reception and asked help to make call for us to ferry company, we also returned room and accessed internet for any notice from ferry website, apparently no instant news you can find from Greek sites so we got back to reception to ask for result, she said there's no news from there and believe it's all good, we trusted her and left the hotel to get on bus from the Fira town, but of course it turned out the chef was right! So early in the morning we have luggages don't want to get back that up and downhills another 15 mins plus not trust with the hotel have to check in hotel nearby, it's all the way bad memories to me staying there. All else was great ! Rooms were lovely & comfortable bed, WiFi not good in rooms, but good at pool area. Not much not to like. The WiFi was a bit unstable at times, which could use some extra attention. There are dogs in the neighbourhood that are not chained and chased us. Perfect week at Ifestos Villa. Family run hotel with exceptional customer service. We loved the little complimentary extras that the hotel offers, including fresh towels and cleaning of the rooms each day. Ideal amenities and very friendly staff. Staff were great especially Nick. He was very informative and helpful. Lovely place. I loved everything. The staff were amazing, the location was perfect just out of the way of the centre but close enough to walk there. The breakfast was out of this world thanks to Marina she was incredible. (Seriously if she tells you to try the Greek breakfast then do it!) The views were incredible, we were in room 6 and you could see the sunrise. 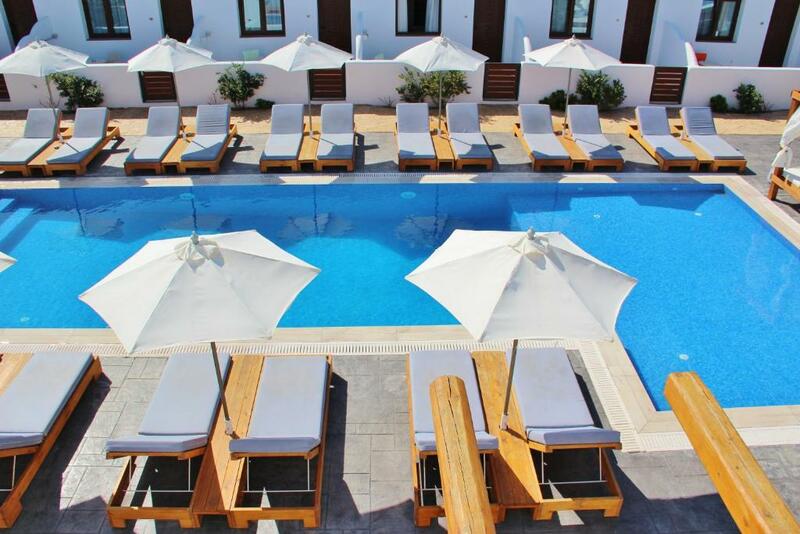 If you're looking for a hotel in Fira but out of the way of the crowds this is the best hotel. Everything was perfect! Ill be for sure visiting here again just for that Greek breakfast alone! It is about a 10 min walk to the touristy area of Fira but an easy walk. There is no view. The staff are incredibly friendly and ready to assist whenever possible. The woman at the front desk was so kind and helpful arranging scooter rentals for us and an early morning taxi to the airport. The breakfast served was delicious and the woman who cooks/serves and entertains is so lovely. The rooms are very clean, quiet and functional. 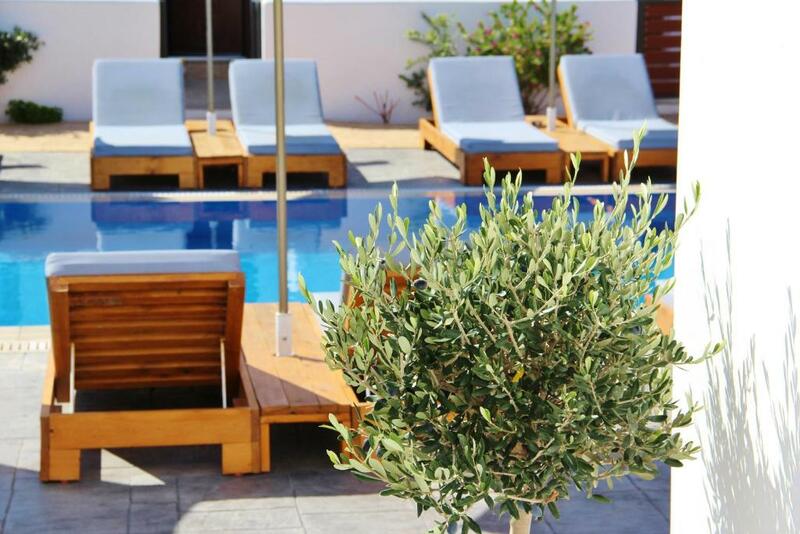 All the rooms overlook a courtyard with a beautiful pool which is a great place to relax. Overall a great property and excellent value compared to other hotels in the area. The property is beautiful, we chose it for the size of the pool as it looked a lot larger than other properties of a similar price and style in the area. We weren't disappointed. The property is set back from the main road at the top of a longish, straight drive meaning you do not get the noise and bustle from the main road. It is also higher up offering good views from some of the apartments / rooms, as well as on the bar terrace. We had chosen a room with a patio, which looked out onto the pool. The buildings are all clean inside and out, everything is very well maintained. Our check in was so smooth and the lady on the desk (Irene I think she was called) could not be more helpful and welcoming, she also arranged a sunset sailing trip for us and organised a transfer back to the port for our departure. We enjoyed breakfast there on a number of occasions, and although it appears a little pricey (9 - 12 Euros) for eggs, all the options are well worth it! Marina the chef is a great lady, full of character, laughter and a little fun (expect banter! ), not to mention that she is an excellent cook! The rooms are large and spacious and come well equipped with towels, hairdryer, information booklet, cutlery / crockery should you choose to use the kitchenette facilities, and large fridge. The property is lovely and peaceful and made for the relaxing break we were looking for. Even when there are a lot of guests around the pool, everyone just enjoyed being relaxed; there was no rowdiness or excessive noise at all. The walk into central Fira is around 15 - 20 mins and is an easy walk, there are some restaurants, bars and shops along the route, we did not stop at any of these, preferring to go right up into Fira to enjoy the views over the Caldera. The local bus station is just before you get on to the main street so getting local transport from close to Ifestos Villa's is easy. We loved the spacious room and bathroom, the pool area was always clean and peaceful, all of the staff were eager to please and very helpful. The location is only a ten minute walk from Fira, and it was nice to be removed from the packed and busy city. Nice room and pool area was clean comfortable. Friendly staff. The structure is a few meters from the center of Fira. The receptionist is very qualified, kind and available. The apartment was clean and equipped with all comforts. We were so happy to stay at the Ifestos Villa. The only thing that could have made this trip better was if we hadn't had to leave this hotel!! Incredible holiday and fabulous hotel. This was the best hotel we've stayed in in a long time. The room was stunning, the bed incredibly comfortable and the pool was stunning. 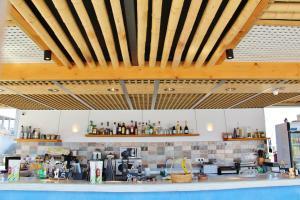 the pool bar was perfect, the staff working there could not do enough for us. Plenty of free parking always a bonus! The food was mouth wartering delicious. It was a short 10 minute walk in the Fira which is a stunning 'city' (it's tiny) with so many restaurants and bars it's impossible to decide where to go, with lovely narrow streets lined with shops and the locals are so friendly.